Details about Rare 1980's Merv Griffin Productions Red Jacket. Lightweight. Fleece Lined. 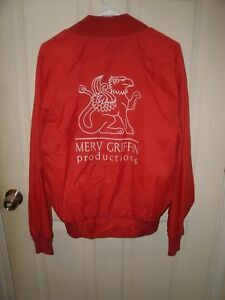 Rare 1980's Merv Griffin Productions Red Jacket. Lightweight. Fleece Lined.